A popular Instagram account that promoted a militant form of feminism was actually run by Russian operatives, who successfully fooled Women’s March organizers into sharing their content. The account, which operated under the handle @feminism_tag on Instagram, had tens of thousands of followers. An investigation into the Kremlin’s cyber operations by Russian media outlet RBC named the account, which has since been deleted from Instagram, as among those operated by the Russians. The account promoted the view, popular among left-wing feminists, that women don’t have equal rights in America. “We fight to achieve equal political, economic, cultural, personal, and social rights for women!” the account’s description read. Archived versions of the account show it had at least 46,000 followers as of March 2017. The account’s posts were often shared on Facebook. The Women’s March page credited the Russian propaganda account for the post, which is still live on Facebook. 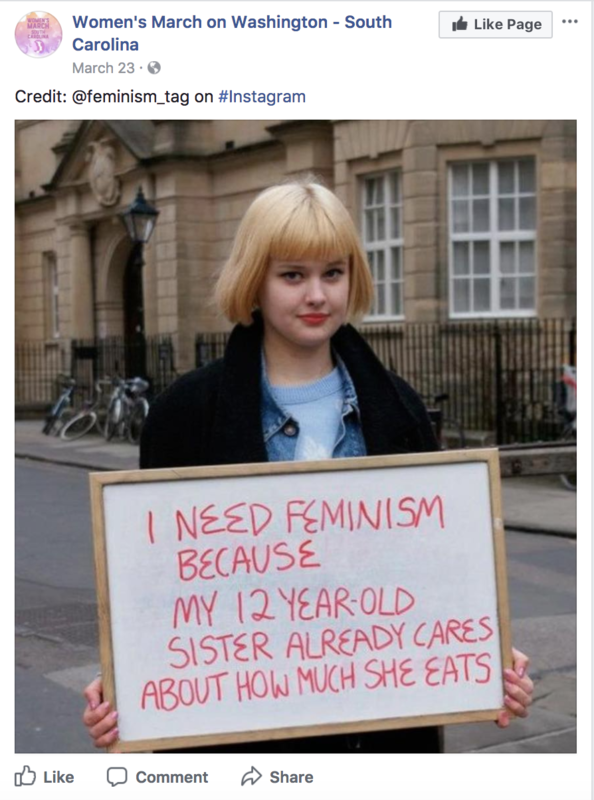 Another popular Facebook page, “My Favorite F Word Is Feminism,” also appears to have shared content that originated from the Russian propaganda account. That post, which framed critiques of feminism as making it all about men, was shared more than 3,000 times across Facebook. Russia is reported to have promoted inflammatory positions on both sides of hot-button political issues such as race relations and policing. Russian accounts targeted Baltimore and Ferguson — both hubs of racial activism — with pro-Black Lives Matter messaging, CNN reported. The Washington Post reported that the Russian ads promoted other “African American rights groups” in addition to Black Lives Matter. Other accounts impersonated Islamic groups to push anti-American messages meant to alienate Muslims within the United States. Similarly, the Russian operations also targeted Native American groups against the Dakota Access Pipeline in North Dakota, BuzzFeed reported on Monday.